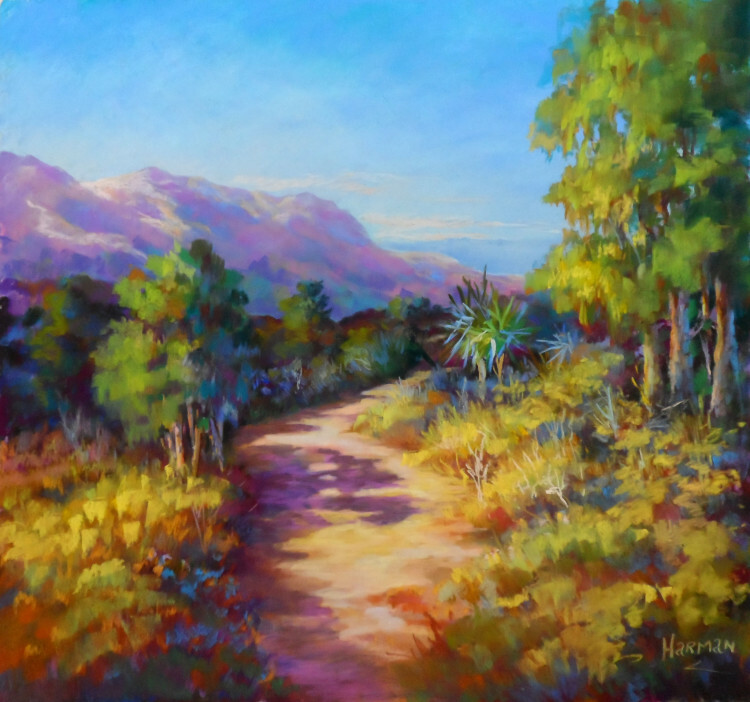 Online Tutorials for Pastel Artists of all abilities with one BIG Difference! I expected to learn more about the basics of drawing, basic fundamentals that would plug the gaps in my knowledge. I expected to be given instruction and critiques on where I could make a painting better, I expected to be challenged, and stretched and pulled way out of my comfort zone. I expected to learn about pastels, paper, techniques and a thousand other things. Am I getting that? Oh yes and in spades!! With added extras as well. What I did not expect was the tremendous support and sense of family I have received from everyone here, from Heather and Les (who does an outstanding job in administering the site) to the wonderful Academy members, all cheering each other on and watching us all grow in confidence and ability. A also never expected to become an all consuming passion, where my every waking hour is spent either painting, thinking about painting, talking about painting or wondering how I would paint something! I never expected to have my whole house turned into a studio – where every conceivable surface is given over to art materials, supplies, paintings, sketches, doodles, you name it, it’s on a surface somewhere! So all I would like to say is “Thank you Heather, for igniting the passion and giving me the opportunity to learn and develop myself as an artist as well as a person, thank you for your patience, gentle critiques and pointers, and most of all for sharing your expertise with all of us.” Thank you. The Academy is an online training school which is based on Heather’s real life workshop training. That alone makes it unique. ( Unlike the majority of online tuition which teaches you to copy one specific painting of the tutor, an approach with fundamental limitations. Copying exercises have their place but should never form the core learning of any artist. You become frustrated because you don’t know ‘why’ you are doing something on a painting.) The training uses photos to work from BUT chosen to provide quality tuition in a specific discipline. How Exactly does the Academy Training work? The Academy library houses numerous video training with PDF’s. These are to be found in the main website under Training. So the videos provide a large part of the understanding for a subject , for example Tonal Values. Heather posts the exercises (photographs with guidelines) and having seen the videos, you have a forum to ask questions about the work. Then you post your work for her Assessment and Advice. (sometimes in WIP form). All this happens in the Forum/Studio. Within the Forum/Studio are galleries for the seperate subjects: Tonal Values, Composition & Design, Colour Theory, Pastel Introduction, and also for landscape, portrait, still life etc. More galleries are being added as the subjects increase. So at any time you can check back and see your work and that of other members. For Gold Level members, you will be able to work on personal projects or within the Academy program, with Heather’s feedback and advice. A Gold Member Club is being developed in the Studio (Forum). Many Gold members go through the silver training first. In other words – FEEDBACK – from Heather is the key. This is not video library only system. It is the closest thing to a real class you will find. But better – It is all there for you to return to and watch again. New members have the advantage of being able to see the work of members on these themes completed before they joined! Think you are too old to learn? Well You are not! And my 25 Years experience teaching has proved it! Usually the biggest obstacle new artists face is themselves, but self-belief and confidence soon comes with your first successes. The Academy is for anyone who wants to learn in a structured and logical manner, no matter where you live, what your experience level is or how old you are. Recognition and artistic success can come at any age! 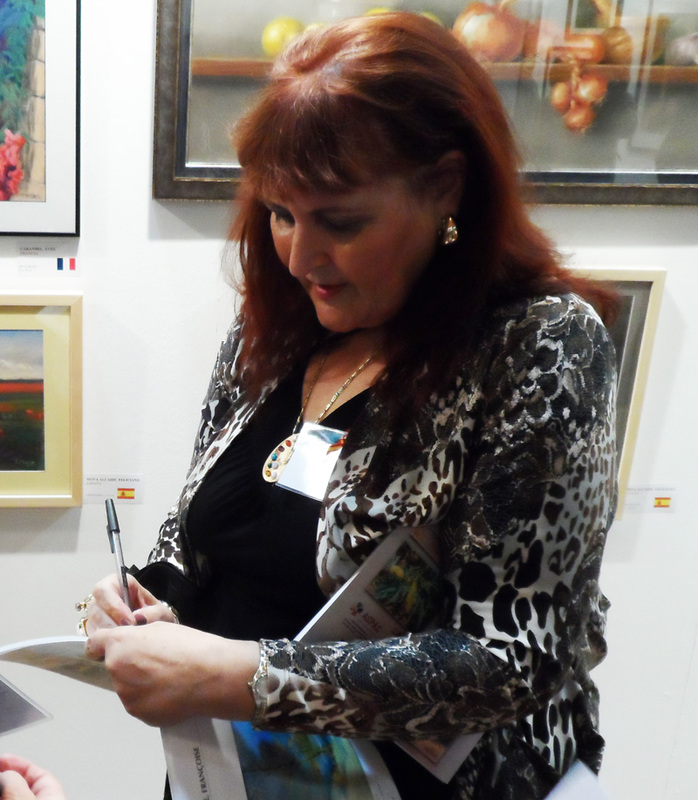 For many years many of the people in art classes have been retired, or returning to an old passion that they had to stop at some point in their lives, like when raising a family, or having a career. But as they have learnt – their work looks just as fabulous in a frame at their first exhibition as it would have done when they were 20! I have taught artists to National exhibition level in their retirement So don’t think that your lack of knowledge means you have a lack of talent! The Academy was also founded on the principles of access for all, and very much at the heart of that idea is access to those who are for whatever reason tied to their home – mothers, fathers, carers, disabled – all those who have difficulty in learning anything they need to progress. It is not lack of talent which might hold you back – it is lack of knowledge, lack of constructive practice and in some cases lack of inspiration. That is what the Academy offers you; good solid training in the basics if you need it, methods that work and masses of inspiration! But, You must find the time to invest in YOU! Your creative time is your personal time, which may one day become your income. I have seen that happen many times. Time for your work will differ from person to person – and much depends on their goals and aims. The Academy lets you work at your own pace. Exactly What Subjects Can I Learn From the Pastel Academy? The Basics of Drawing and Sketching: graphite, pen and charcoal. Landscape Drawing and Painting: Techniques for Landscape, traditional and impressionist techniques. Photography; How to use photos for referrences for paintings. Sanguine Portrait technique ( The traditional Trois Crayon of which Heather is a noted specialist); possibly the most beautiful portrait drawing/tonal medium. 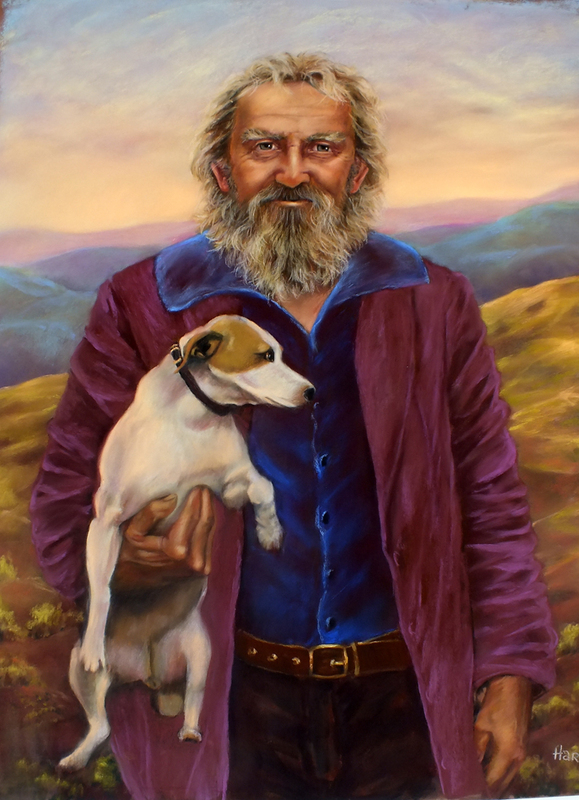 Portraits – Human & Animal – pastel pencils, soft pastel techniques, backgrounds for portraiture, Blending and glazing techniques. Still Life, Flowers, simple still life, themed still life. Plein Air painting/Painting Holiday advice. A guide to outdoor painting. 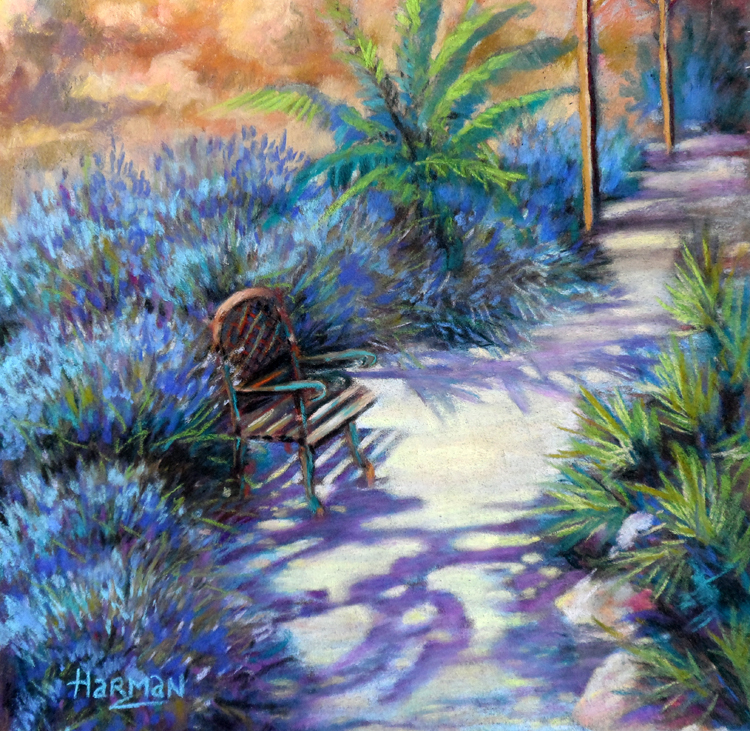 Heather took pastel painting groups on painting holidays in the Uk and Europe for 20 years. 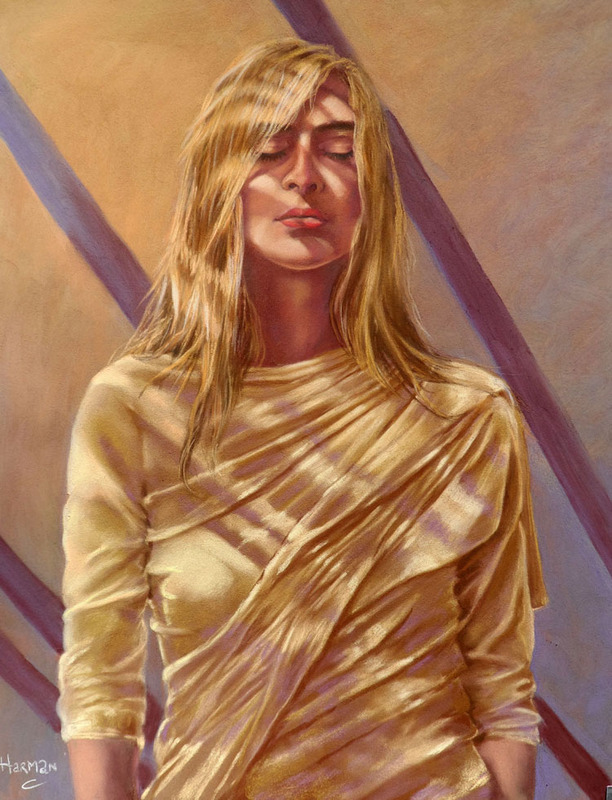 A Resources section: library of pastel articles written by Heather for a UK art magazine. An increasing collection of other articles about pastel, copyright, making pastels, a pastel manufacturers section, and pastel suppliers section, and much more. 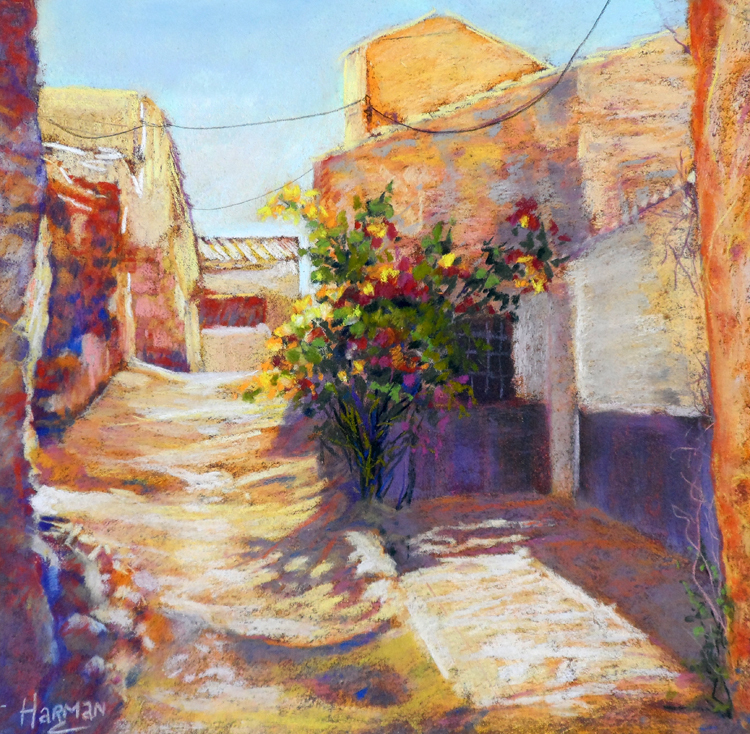 History of Pastel section; Heather was possibly the first UK academic to study the History of Pastel at university level (1999-2003). What Our Members Think ! I used to think i was doing ok teaching myself, but the impact of learning through the academy is having a dramatic effect. Now that i’m learning about tonal values, colour theory and composition from an expert, with individual feedback and critique on my work, i’m coming on in leaps and bounds. Highly recommended! Come be a part of a wonderful community of fellow members and prepare to become obsessive about all things pastel! I am mainly self taught, I firmly believe that getting to grips with the basics of art, drawing, sketching, composition, colour theory etc will stand me in good stead in the development of my progress as an artist. 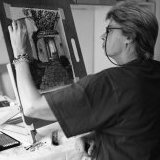 Here at the Academy Heather has put her vast experience as a successful artist, tutor, author and mentor at our disposal. The courses offered are well laid out using a combination of both written and video instruction, as well as a very responsive forum where you can get feedback from other artists as well as from Heather herself. When you enrol – you will find an Academy Roadmap – which is there to guide you through your options in your level. you might be guided by me or prioritize one subject over another – but you will probably want to fit all the training in at some point. The Academy has its own ‘Foundation course’, which is the Silver membership level. This is designed to cover all bases in the basics so that you are prepared to advance and grow as an artist; at your own speed. The Academy’s tuition runs on the basis of a ‘Theme’ for a set amount of time – which might be for instance Colour Theory, and all work done in that period will concentrate and explore Colour Theory. The same for Tonal Values and Composition. We will explore the basics in landscape. still life and portrait. Your choices might be based on what is of interest to you at the time. or you can join a themed program with Live Training/feedback. On the other hand you might choose to backtrack and fill in some of the gaps in your drawing or pastel knowledge, You might even decide to plunge into a new subject area. You might even be ready to embark on a teaching career as a pastel tutor? Then in the Academy special training is there just for you (opening to be announced). Are You Ready To Start Improving Your Work? There is a no quibble 30 day money back guarantee. No questions asked. We want you to be happy with your membership. BUT – you can also put your membership on hold for a while; for one of those times when life gets in the way – and you need to stop your studies for a while. You can then resume at your own convenience. I am not good at Motivating myself - will the Academy help me with that? Yes it will. The Academy will give you a structure to work within, and guidance along the way. Not only that - it will give you inspiration and support - even more importantly - direction. With all those things in place, you will be well set to grow and develop as an artist. I am a Beginner. Will I be out of my depth in the Academy? Absolutely not! 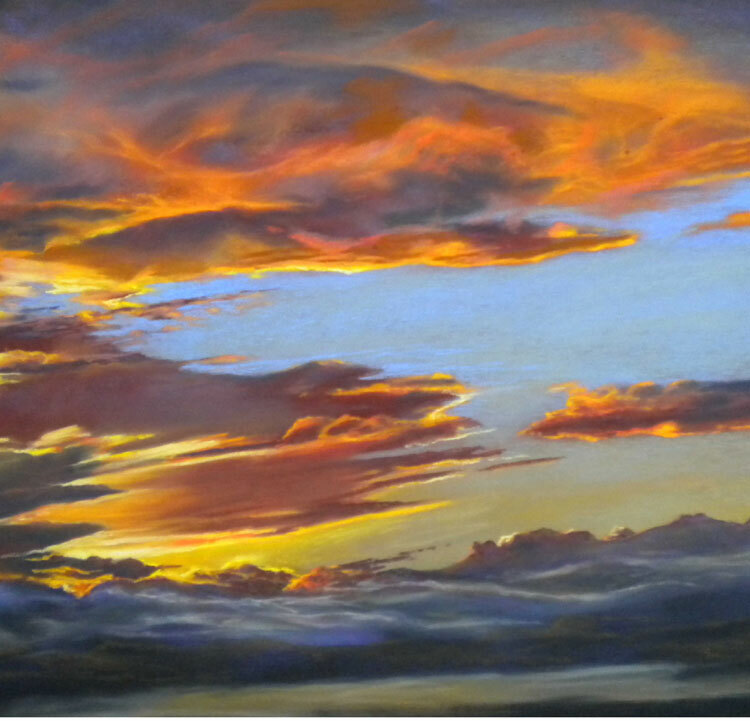 The Academy caters for ALL levels of experience and welcomes artists who are both new to pastel and/or new to art. You will learn everything you need to know to make a great start, and continue to develop and learn. The learning process is different for everyone and you will need - as all artists do - to be patient with yourself and not expect everything to happen all at once. You will also be in a very supportive environment - away from the public eye - but amongst like minded creative learners like you. So many people are having to fit in their creative passions into a schedule, especially if learning means travelling to classes outside the home. When learning online you can set you own schedule, and fit in what you can. The real key to growth and learning of course is to do something every day; sketching, drawing, painting whatever. Do I have to keep up with other people? You cant get 'behind' in the Academy. New training will be added regularly but the old training will remain in the Academy for you to return to whenever you want to. So you can work to a schedule or completely at your own pace. Yes, you can upgrade at any time after signing up. When you log in, you will see a notice regarding your current package and instructions on how to upgrade. Yes on a regular basis - new content will be added as required and both in pre-recorded video format in the courses, and also in live training. The Academy Resource Library will also be updated as often as necessary. You can pay using most credit cards with Stripe payment processor. Or you can pay by Paypal. Your payments and your card details are completely safe. The Academy website is SSL certified and we do not store your card details - ( Paypal and Stripe do that). You can also pay in most currencies - dependant on where you live. Can I access Member content once I cancel my membership? No. Your membership entitles you to access all member areas for the duration of your membership. If you cancel or do not renew your membership, then you will no longer be able to access the membership content. We offer no-questions-asked refunds to all customers within 30 days of your purchase. If you are not satisfied with our product, then simply send us an email and we will refund your purchase right away. The goal has always been to create a happy, thriving community. If you are not thrilled with the Academy or are not enjoying the experience, then we have no interest in forcing you to stay an unhappy member. If I have any other questions what do I do? Simply email me at heatherharmanartist@outlook.com if you have any other questions or post your question in the Contact page. If you have any more questions, feel free to drop me a line anytime.